Yesterday, Alexander Rossi's name appeared on the official FIA entry list for the Russian Grand Prix as a replacement for the injured Jules Bianchi. 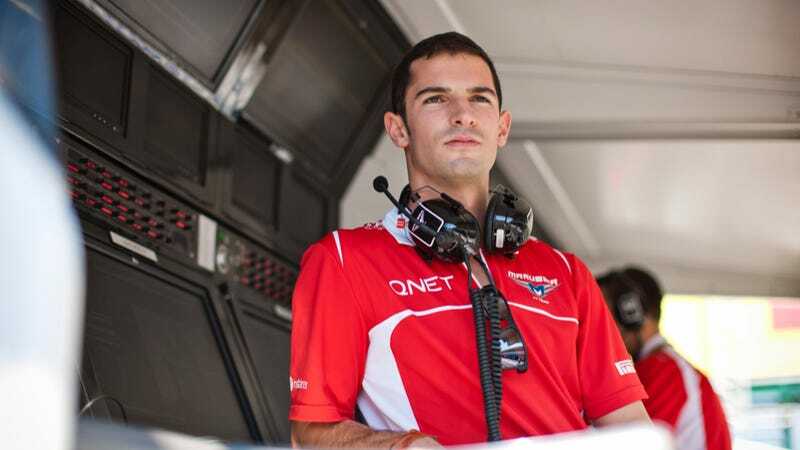 But now Marussia has announced they will only run one car this weekend, out of respect for Jules. The announcement that they will only run one car isn't that much of a surprise. Marussia had been talking to F1 honcho Bernie Ecclestone to make sure they wouldn't receive a penalty for running just one car, but had to have two entries listed in order to be considered for the race. Also, Marussia is not one of the best funded teams on the grid, and the task of adequately preparing a new tub while having enough spares for the weekend was a big ask. While we're sure Rossi would have done a great job in Jules's absence, only running one car is also a great sign of respect for the injured racer.